The founders of Workout Anytime have been helping consumers get healthy and stay healthy for over three decades. Our goal is simple: offer the very best equipped club per square foot and the convenience of 24 hour access to health conscious consumers. Members enjoy state of the art equipment, personal training, nutritional and weight loss programs including delicious prepared foods by Good Measure Meals, in a friendly and inviting atmosphere. Workout Anytime has 11 health club locations throughout Atlanta and all clubs offer personal training, nutritional and weight loss programs and 24 hour access, 7 days a week, 365 days per year. 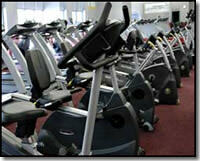 Why Purchase A Workout Anytime Franchise? The health and fitness industry is a 15.9 billion dollar industry, and increasing every year. Currently this industry serves over 42 million Americans and is trending higher each year. Based on ISRSA (International health, racquet and sportsman association) statistics, health club membership are projected to reach 50 to 100 million by 2010. This would represent a 25 to 50 percent increase from today's levels. The health and fitness industry is in very high demand. Because of the high rate of obesity and heart disease, there is an increased awareness of exercise and fitness. 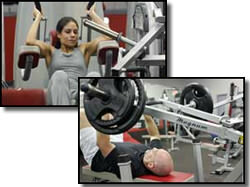 In fact working out is an integral part of ones over all health. Proven SystemTurn key business system. We offer Brand recognition real estatesite selection assistance Design and construction assistance Comprehensive training On-going support with a help line to corporate. Health and Fitness industry past present and future. Real Estate/Site Selection, demographics study, and lease negotiation. Criteria for choosing great locations. Equipment how to properly equipt your club bases on size. Security including 24-hour access and entertainment in your club. Advertising getting the most bang for your buck. Workout Anytime has territories available for Area Developers/Master franchises. Own your own territory and help us develop the Country. Area Developers will be very important partners w/the franchisor, and share in royalties and fees collected in the on-going franchise relationship. NOTE: This franchise is only currently being offered to residents of the following states: AL, GA, FL, KY, LA, MS, NC, SC, TN, VA. Interested parties should have at least $100,000 to invest. Workout Anytime is currently accepting inquiries from the following states: Virginia, Tennessee, South Carolina, North Carolina, Mississippi, Louisiana, Kentucky, Georgia, Florida, Alabama.